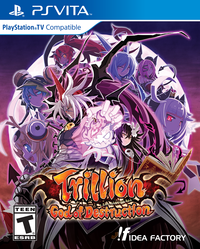 Trillion: God of Destruction is a little different than the games the company is used to making. 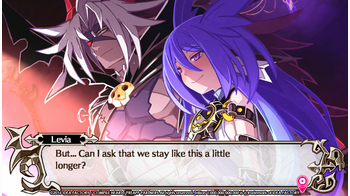 This is a turn-based dungeon crawler not dissimilar from titles like Brandish or the Mystery Dungeon series. Every time you make a move, the enemy makes a move - though status effects and the speed stat of the character/enemy come into play. The story begins when a demon god known as Trillion appears at the gates of the Underworld after swallowing up all the realms he visited beforehand. It gets its name for being known as the Beast of a Trillion Curses (though it has a trillion health points). You are the Great Overlord Zeabolos who rules over the Underworld, showing little concern for this beast of legend. After leading thousands of troops to confront this beast, the entire army is decimated in the matter of moments, including Zeabolos' sibling. After being rescued by a woman named Faust and beating a hasty retreat to the castle, Zeabolos offers a deal to her where he will give up his powerful soul in return for his resurrection along with her assistance in toppling this beast who threatens the world’s existence. While Zeabolos can no longer fight in his patched-together zombie body thanks to Faust, he has six female Overlords who answer to him that have different relationships to Zeabolos in some respect - nieces, cousins, sister, childhood friend, etc. He must help train each of these girls to fight Trillion on your turf with the promise they will ascend to the Great Overlord throne as a reward for their efforts. 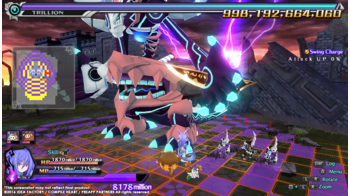 Trillion: God of Destruction is a game that epitomizes grinding. You are given a number of cycles and several days before you will fight Trillion. For example, let’s say you have five cycles of seven days to spend preparing yourself for this battle. You accumulate various types of point categories which are used to power up one of the Overlords. Each main stat, such Attack, Health, Defense, Speed, take a little from each of these categories. And since we’re talking about an enemy with a trillion hit points, your Overlord can also be built up into this insanely powerful being. 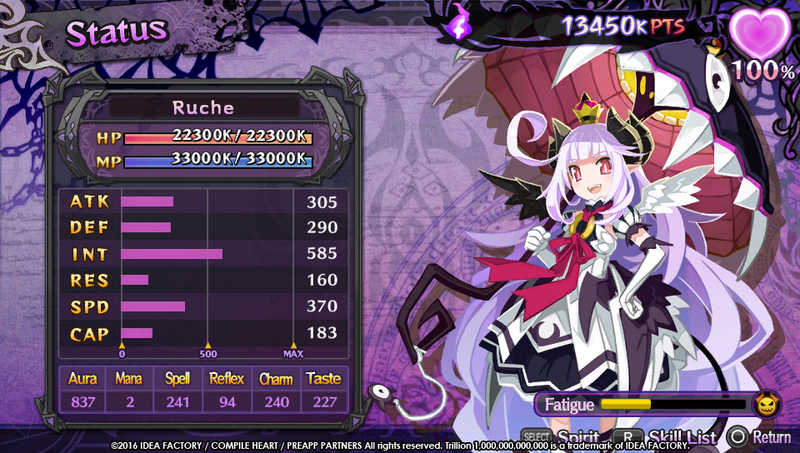 By the time you face Trillion, you may have 200 million HP, 500 attack, 600 defense, and so forth. One mechanic featured in the game is affection points. You earn affection by finding items of varying quality you can gift to Zeabolos that helps boost your affection meter, or just have a conversation with him. There’s even a capsule machine you can spend tokens on (earned by training) to try to earn rare items - not too dissimilar from a gacha system in mobages. The main thing Affection offers to you is its own separate HP/MP pool that can be used during battle. While you have your typical Health bar and Mana bar, there’s also this Affection-based meter where lost HP/MP is first depleted from. Basically, this is an essential focus early on if you want to defeat Trillion without getting immediately squashed. There are different encounters the player will face. For example, there is one place called Valley of Swords which is kind of like the Item World in the Disgaea series because it provides the means to earn stat bonuses while also finding new items and equipment. Only here, you have a set number of turns you can make before you risk losing everything gathered if you don’t manage to make it to the exit portal. The difference with the regular combat is that you will engage in boss battles (there are minions you have to engage with as well). You start on opposite ends of a giant field of combat. You have to make your way down this lane to fight the boss, and along the way, Trillion could summon monsters, traps, and Area of Effect spells. If you end up defeating one of its minions, you earn an extra turn which can be crucial in your strategy of defeating this demon. What I have learned to do is cast certain spells that causes your character to leap extra spaces. Eventually, I built my character up to where I was never taking single steps, but rather jumping from one side of the arena to the other, which in turn causes Trillion to perform the least amount of actions as possible. This helps avoid the AoE spells or traps, which change color after each turn from white, to yellow, to orange, and finally to red before triggering the following turn. Building up your mobility allows you to avoid these attacks entirely. At the end of each cycle there is a fake Trillion you can get prepared with. This fake uses the same tactics that the demon god will use. Thankfully, there’s no Game Over if you lose this mock battle - instead, you earn stats for the attempt and continue (though I highly recommend defeating this fake before moving on). 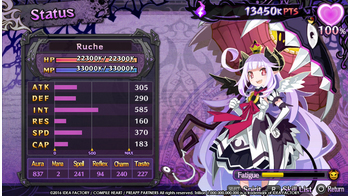 There are different weak points on Trillion and different abilities you can unlock with those accumulated points I mentioned before that can become very effective, such as dealing only critical damage when attacking Trillion from behind and increasing the amount of damage those critical strikes cause. 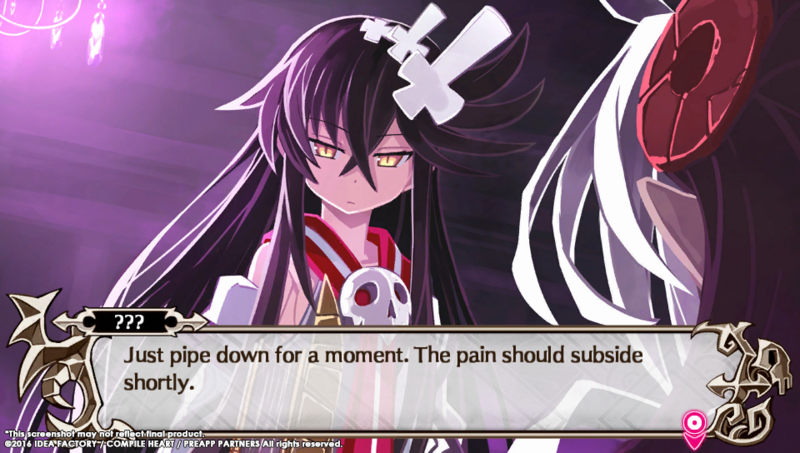 It can make for a dynamic encounter - when you’re not busy dealing with the sheer frustration of losing a character when Trillion takes multiple turns. There is also a Blacksmith you can visit that can add relics you can add to your weapon with inherent characteristics that can augment your stats, such as boosting your attack power by 100 or letting you attack from a farther range. At the beginning of the game, there are three Overlords you can choose from to experience the story from their perspective. This is admittedly rather thin outside of special cutscenes you can unlock or story events that help explain their motive for wanting to be the Great Overlord. This can get depressing, especially knowing that death is inevitable - unless you go into this game knowing exactly what you need to do and not wasting any of the precious time given to you, you will see each of these girls die in front of you. This can become nigh-unbearable if you were like me and became emotionally attached to someone after spending hours building them up and experiencing their backstory. And then you send this girl off to what is likely to be her death. While this can be difficult to accept, thankfully each Overlord has a sacrificial ability that can do things like seal a certain body part of Trillion to prevent its use in the next battle, or allow that character to appear as a ghost to assist you in combat. Half of their accumulated stats also carries over to the next Overlord so it isn’t a complete waste of time. There is a way to beat the game with your first Overlord if you train yourself correctly. I have seen people do it, but really, you are supposed to be chipping away at Trillion’s health. Therefore, when you end up dying, he cause the least amount of damage to the Underworld, of which there are different layers he has to eat his way through before ending up at the castle. As Trillion gets weaker, he also gets monumentally more difficult. There’s no immediate Game Over, which feeds into accepting player death. 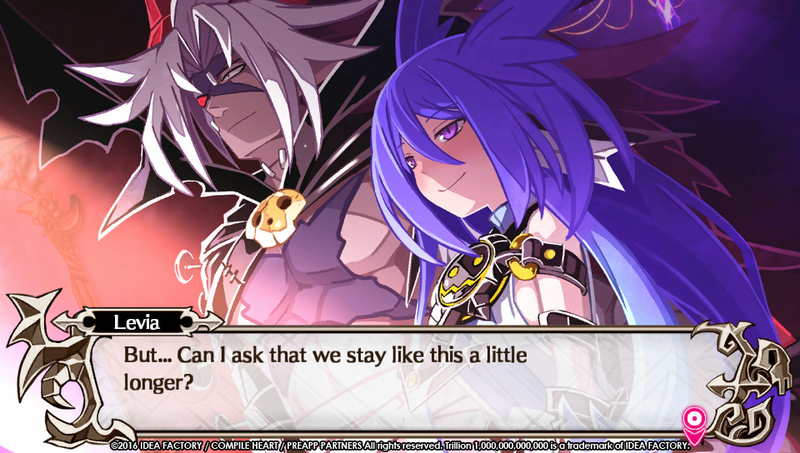 In fact, if you wanted to, you could immediately run away once you meet Trillion in battle, granting you a few more cycles of days to further train your Overlord at the risk of laying some of the Underworld - which is highly recommended. I know first hand this can have a profound impact on your capabilities. If you end up losing your first three Overlords, there is a New Game Plus feature where the stats carry over to the remaining three girls. All you really lose as a result is the equipment the girl is wearing when she fought Trillion and the items they had equipped on them. This is kind of your typical roguelike where you lose whatever you were carrying on your person if you end up dying. There’s a strong chance you’ll end up beating the game with the next set of girls unless you’re trying for one of the game’s multiple endings. While this ends up offering a great deal of replayability, it winds up being the same endless grind, going through the same menus, visiting the Valley of Swords when possible - that type of thing. So, unless you have a strong attachment to a particular character or love seeing numbers go up, there’s not a lot of appeal to be had here, especially when those story moments are few in number. As I mentioned before, production-wise, Trillion is a mixed bag. While the animation of the 2D portraits during dialog scenes is commendable and easy on the eyes, the look of the models in the game proper are nothing remarkable, even muddy at times. While part of it can be blamed on the platform itself, I have seen much better come out of Compile Heart in titles like Fairy Fencer F and Hyperdevotion Noire. Thankfully, a lot of this is made up with the original score. The music does a great job in setting the mood especially during the more dramatic moments found scattered throughout the game. This also carries over to the voice acting itself, with both the Japanese and English sides turning in solid performances that fit their characters well. The game never measures up to its true potential as too much of the experience is spent navigating through the same menus over and over again while having to endure endless grinding. 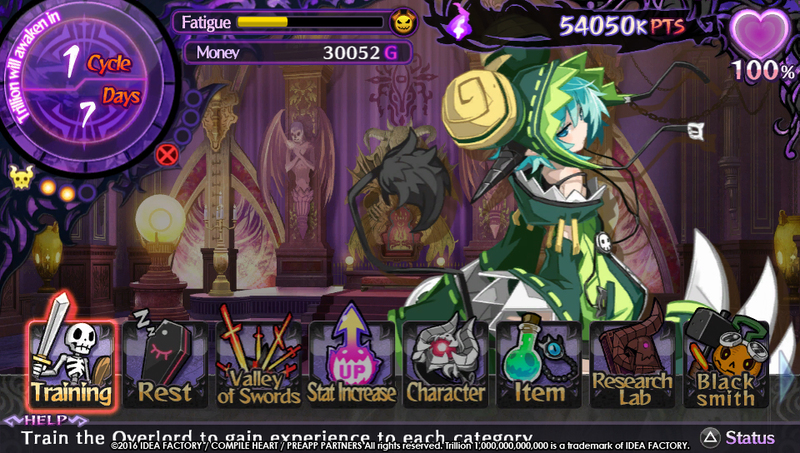 While the time management aspect is an interesting approach to give Trillion a burst of strategy, it can lead to several cases of save scumming and boundless frustration. A single day wasted can screw up an entire run which is just brutal. At least each Overlord has inherent abilities to help it avoid the rinse-and-repeat criticism. 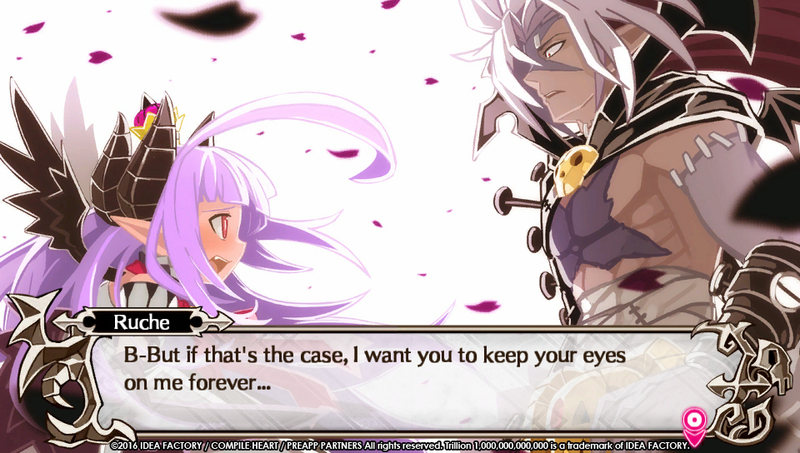 While Trillion: God of Destruction does an exceptional job in setting up its premise and having you care about the plight of its characters, the gameplay and combat mechanics left me feeling disappointed. Fans of turn-based dungeon crawlers may want to give this one a try, but be prepared for a marathon of character building. For the record, I would still love to see a sequel.